Currently in her second year on the music staff at Louisiana State University, Ms. Lacheva continues to serve as Program Director for the Collaborative Piano Institute - the summer program for current and potential collaborative pianists she co-created. Until 2017 Ms. Lacheva held a vocal coaching position with the Moores Opera Center at the University of Houston and assisted with several productions at Opera in the Heights. As a member of the Houston Grand Opera Studio, she was involved in the rehearsal process and performances of Wagner's Das Rheingold, Weinberg's The Passenger (in Houston, and at the Lincoln Center Festival in New York in the summer of 2014) among others, and performed extensively with the Studio singers in recitals in Texas and Louisiana. Ms. Lacheva completed her collaborative piano studies with Martin Katz at the University of Michigan School of Music, Theatre, and Dance in 2012 and that summer she was an apprentice coach in the Merola Program at the San Francisco Opera Center. She was a répétiteur and coach for Verdi's Falstaff at the University of Michigan, and was a Fellow of the Tanglewood Music Center where she collaborated in Stravinsky’s Renard with the Mark Morris Dance Group. 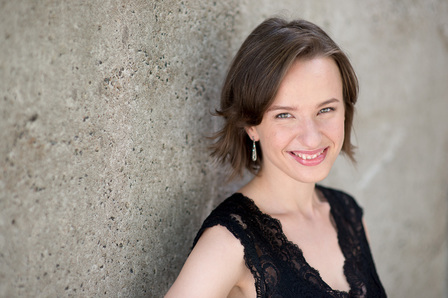 Ms. Lacheva has performed internationally as a soloist, collaborative pianist, and a member of the Aelia Piano Duo in Prague, Berlin, and Reykjavík, and maintains an active recital schedule in Texas and Louisiana.